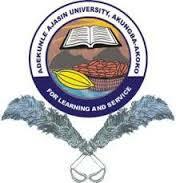 Adekunle Ajasin University, Akungba-Akoko (AAUA) Full-Time/Sandwich Postgraduate Master/Ph.D. Programmes Admission Form, Admission Requirements, Duration, Application Guidelines and Deadline for 2018/2019 Academic Session. Applications are invited from suitably qualified candidates for admission into Adekunle Ajasin University, Akungba-Akoko (AAUA) Postgraduate School Portal Full-Time/Sandwich Postgraduate Master/Ph.D. Programmes, for the 2018/2019 academic session. For full list of approved courses and admission requirements of AAUA, check the page>>> AAUA Postgraduate Approved Courses & Requirements 2018/2019. Deadline: This application shall close after four (4) weeks from the date of this publication.